Daily Illuminator: Simon's Cat Card Game Is The Cat's Meow! April 2, 2016: Simon's Cat Card Game Is The Cat's Meow! 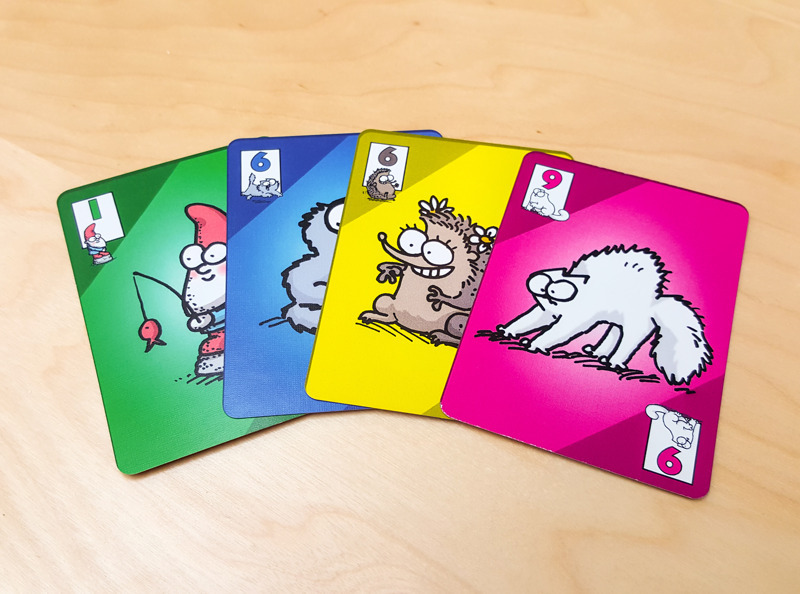 I had been waiting with great anticipation to play Simon's Cat Card Game and was so excited to get the opportunity! Simon's Cat is a fast-paced game filled with purr-fect imagery. The object of the game is to be the one who doesn't get blamed for causing a mess by matching colors and numbers. I used to work in after-school programming for grade-school kids (now I have a quiet desk job that involves no sticky fingers, hopefully) and I wish Simon's Cat was available during that time. The concepts were quick to learn and very engaging. I would play this game with anyone who enjoys kitten around. You can try to shelter yourself from the other players throwing catastrophes your way, but at the same time you can really sink your claws into them. I am paws-itively certain this game would be a hit at any party!